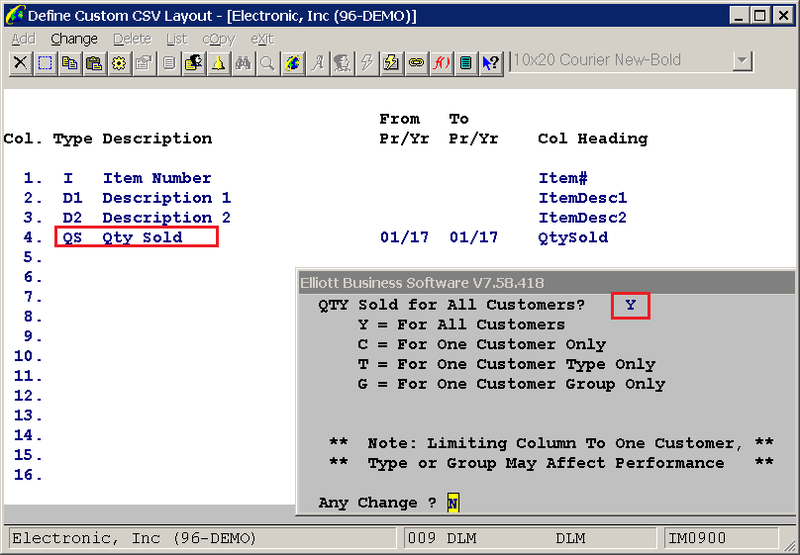 This feature adds the ability to add Quantity Sold (QS) columns to the IM User Defined CSV Export. Go to IM --> Reports --> Reordering Advice Reports --> Maintenance --> User Defined CSV Layout. Enter QS in the Type column, then the date range in the From and To columns. After the To Yr value is entered, a new window will appear offering options for All Customers (Y), One customer (C), Customer Type (T), and Customer Group. The default value is Y, and if Y is selected the Quantity Sold amount will come from the Location History file. 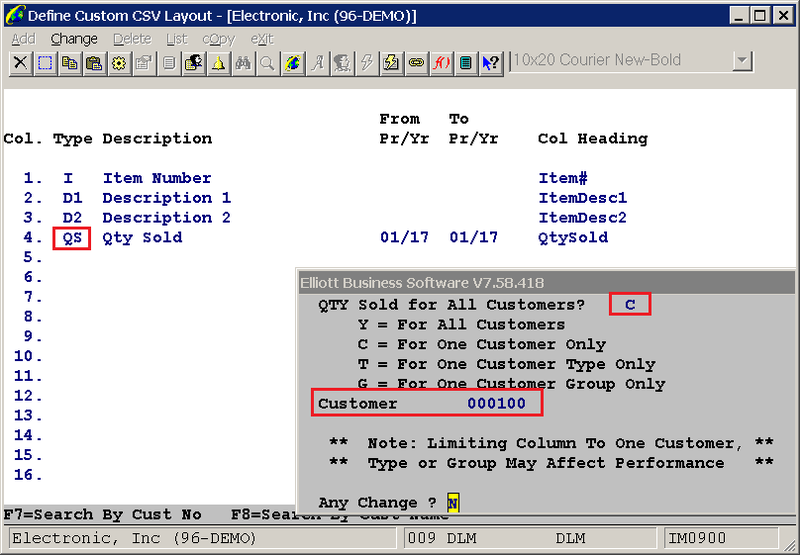 If C, T, or G is selected, the user will be prompted for a value and the Quantity Sold will be determined by reading the Inventory transaction file. Please note that limiting the column to one customer, type, or group may affect performance.